It is the return of the neons!…and the lightbox! Today’s nail art consists of some old neons and some from the China Glaze collection. I realize I need more powerful white, daylight bulbs. The ones I have cast too much of a yellow tint and it’s hard to capture a good picture :(. I will try to take a sunlight picture tomorrow if the weather perks up! I used Essie No Place Like Chrome and Sinful Colors Snow Me White as my bases. I splattered with Color Club Pucci-licious, China Glaze UV Meant to Be and Violet Vibes. 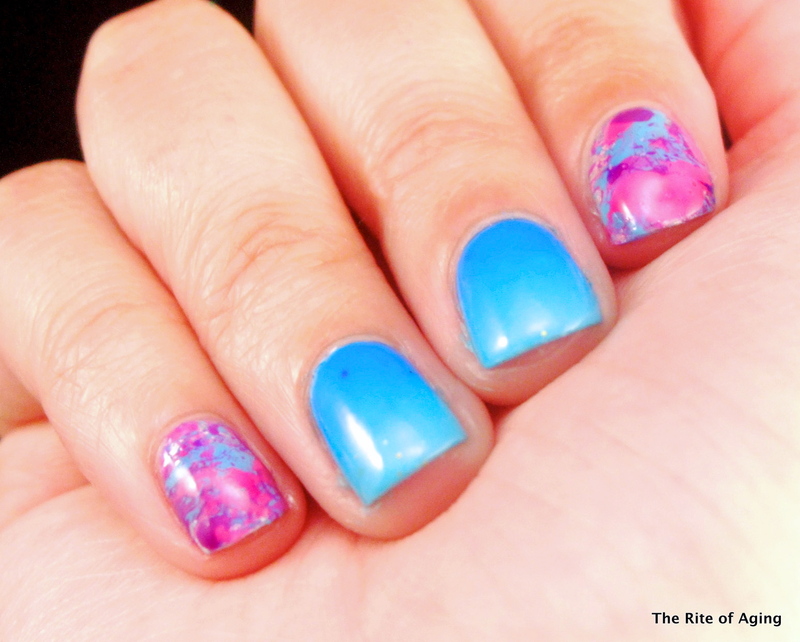 I created with the gradient with Pop Beauty Pacific Hoot and China Glaze UV Meant to Be.